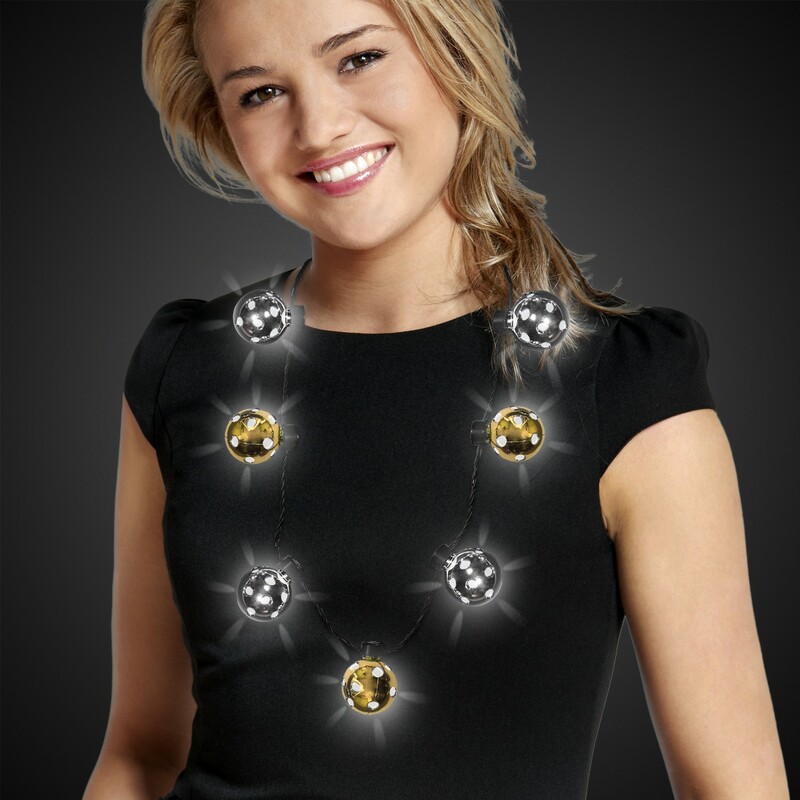 Decorate your guests for a festive celebration with our LED Gold and Silver Disco Ball 40" necklaces. The perfect choice Hollywood themes, milestone events, decade disco parties and New Year's Eve or any festive celebration. 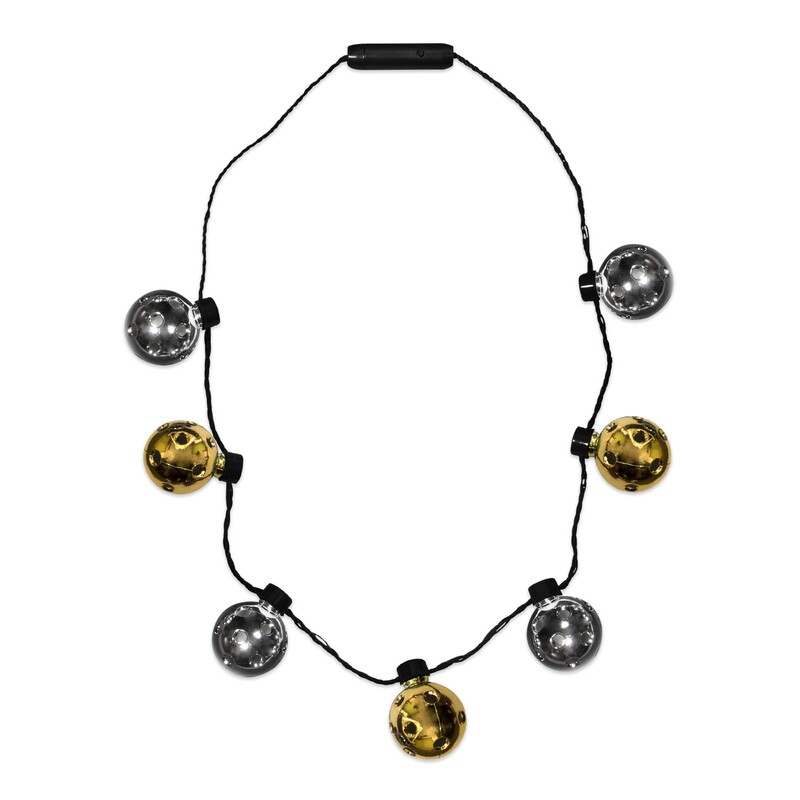 Our 40" light up LED Gold & Silver Disco Ball Necklace features 7 - 3D 15/8" metallic disco balls with LEDs built right in. 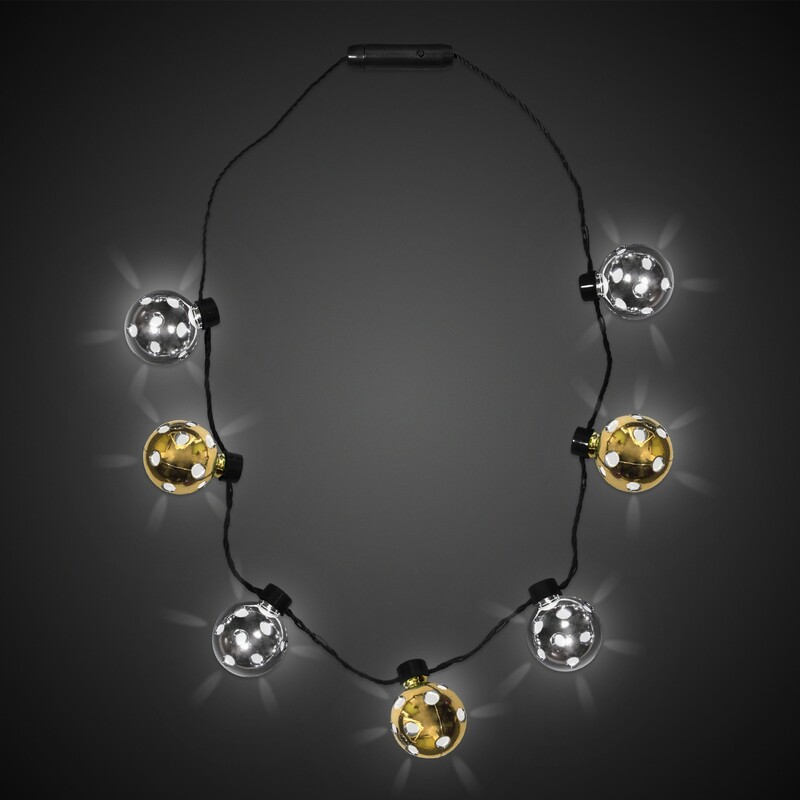 Click the on/off button to choose from 3 different flashing settings. 3 AG 13 batteries are included and installed. Use to add to your table decor and centerpieces too.